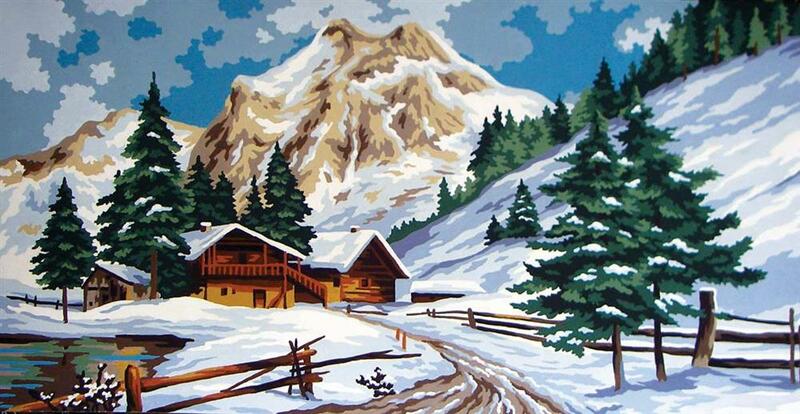 This tapestry canvas from Grafitec features a wintery scene, with an alpine lodge set into the mountains. 10 count duo canvas with screen printed design. List of DMC thread requirements included, with cotton and wool options. Canvas size 40cm x 60cm.